WE CAN OFFER FULL PROJECT MANAGEMENT RESOURCES FROM DESIGN TO DELIVERY TO COMPLEMENT YOUR EXISTING ORGANISATIONAL RESOURCES. Heavy and Light Steel Design / Fabrication (Vehicle / Plant / Equipment). Automotive component design (light and heavy vehicles). Automotive component manufacturing process development (chemical and mechanical). Liquids processing and filling, capsule assembly machines, wire forming machines. Liquids and powder filling operations. 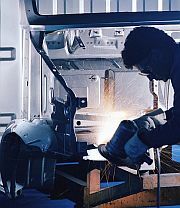 Structural mechanical design - Vehicle Chassis, component and process framing. Vehicle Safety Systems and Seatbelts (Motorhome / PSV / passenger cars / Vans / Taxis). Disability Adaptive Control Systems (PSV / Vans / passenger cars / Taxis). Dust and fume extraction in virtually any industry. A range of electronic calculation techniques and Finite Elelment Analysis (FEA). We are able to provide you with a vast range of experience, insight and effective communication and implementation. Heavy / Light Steel Design / Fabrication. General Chemical and Mechanical Manufacturing Process Development. Steel and Plastics Paint Process Development. Detailed and effective written as well as verbal communication. Attention to detail and the establishment of accurate parameters. Extensive skills network to cover all disciplines and aspects, enabling project management. It is important to ensure that whatever product (and related process) is required, the result is a cost effective and “fit-for-purpose” product and that meets all necessary requirements. Prototype development is an important step in the design process, leading on from the conceptual and design stages, giving rise to the testing and tooling stage. By this time the general parameters will have been established for performance and quality and testing can begin if there are performance specifications to be met. If initial testing is required and successful, and the prototype fulfils all the required parameters then tooling and “first off” components from the tooling stage can be produced for dimensional evaluation and standards testing where it may be required. In general, only off-tool samples are submitted for testing or evaluation to required standards. Where design or product changes occur during the process, testing is to be re-done. At THOMAS engineers Ltd we can provide an exceptional capacity for establishing causes of failure of components or assemblies and machinery. Causes such as manufacturing or design faults can be established through appropriate analysis and detailed in appropriate reports. These activities can lead to an effective design process to ensure that the component or product is refined or re-developed to ensure proper performance. The manufacturing process is then also modified to suit the component where required. FAILURE ANALYSIS can be as simple as utilising hand and electronic calculation methods through to utilising modelling and finite element techniques and even physical testing of components in simulated re-constructed events. Simulated constructed events are often required where hand / electronic calculation or Finite Element Analysis is simply not accurate enough or may indeed be too time consuming. The key and skill in any event is to ensure that all parameters including loads, load-paths, times and many other attributes are correctly and accurately defined and simulated. Contact THOMAS engineers Ltd to discuss any requirements you may have. PHYSICAL TESTING is the optimum method to determine the performance of any product wherever it is practical and also cost effective. Many industries use this method to ensure that their products conform to required international standards with regard to performance and also quality. Often products are developed or designed which have no specific industry standards directly associated with them and in these instances either an existing standard or set of standards can be used as a basis to formulate an “in-house” company standard or a completely new “company standard” is formulated. Internationally recognised standards can certainly be developed in conjunction with recoginsed standards organisations where required but this is a time consuming and costly exercise. SALT-SPRAY CORROSION TESTING facility – to recognised automotive standards. STONE-CHIP TESTING equipment – to recognised automotive standards. Capsule dissolution testing equipment – to “in-house” developed standard. Vehicle-secured transportation rack – to company “in-house” developed standard. The above projects are all commercially sensitive and so no details may be disclosed. We at THOMAS engineers Ltd have a unique ability to formulate test procedures also for equipment or products not yet covered by any existing standard, contact us to discuss your product DEVELOPMENT AND TESTING REQUIREMENTS. The formulation of a report after analysis, testing or physical evaluation of components, systems or assemblies is a vital key to quantifying performance attributes. They generally summarise all parameters involved in preparations, calculation / evaluation and results. All aspects are correlated to ensure that the customer has an appropriate summary of the entire product, process or system evaluation. This provides a valuable reference for future company personnel as well as training and problem solving. It also provides a bench-mark tool if product or process changes are required in future and can lead to a very valuable resource for creating empirical data. Vehicle Chassis (SPECIAL PURPOSE VEHICLE / PSV / CRANE TRUCKS / AMPHIBIOUS / Classes NA, NB, NC, TC etc). Support Structures - Plant and Equipment. Process and Manufacturing Frames / Jigs & Fixtures. Lifting Frames / Lifting Booms. THOMAS engineers Ltd has the ability to design and develop small to medium sized machinery and processes. A vast range of experience and associations provides a most capable resource for your manufacturing and development requirements. 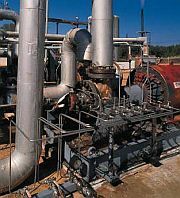 A further significant capability is problem solving of many different machine operations and processes. Keen insight and experience provide resources for accurately quantifying raw-material and labour inputs, machine function and product outputs. Sometimes high-speed camera equipment and other similar resources provide valuable understanding of existing problematic dynamic processes.